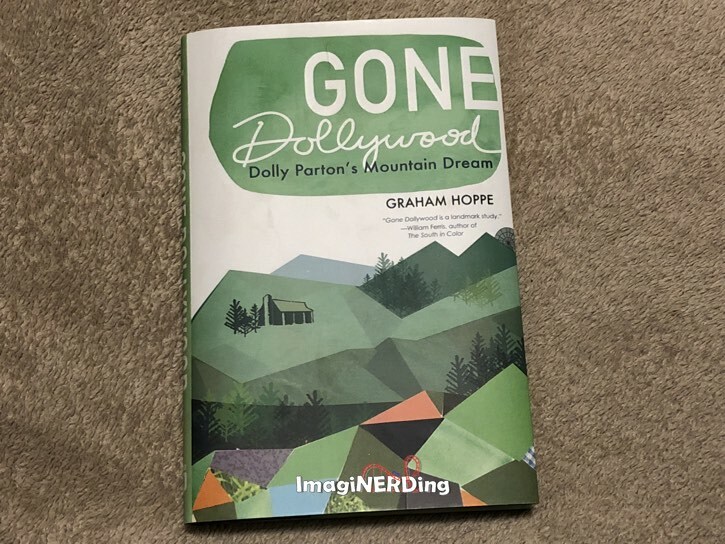 Gone Dollywood: Dolly Parton’s Mountain Dream is a new book of essays by Graham Hoppe, an author who focuses on food and culture. Being a Dollywood Insider and a huge fan of Dollywood, I reached out to the publisher to inquire about a review copy. When the book arrived, I read it during the middle of the Dollywood Social Media Influencers Gathering that I attended in late April. Reading the book during a visit to Dollywood created some inspirational moments relating to the park and its environs. In some aspects, the book reminded me of Vinyl Leaves by Stephen Fjellman, the seminal work on Walt Disney World and culture that was published in 1992. Gone Dollywood takes a similar look at Dollywood and how it represents and changes the views of Appalachian culture. The work is academic in nature, but Hoppe writes in a way that doesn’t alienate the lay reader. Dollywood fans will be intrigued by the book and theme park fans will devour it. Fans of Dolly Parton and Appalachian culture will find it a work of love and respect. But that doesn’t mean that Hoppe doesn’t question what he sees around him in the park and the Pigeon Forge area. Why Should I Read Gone Dollywood? 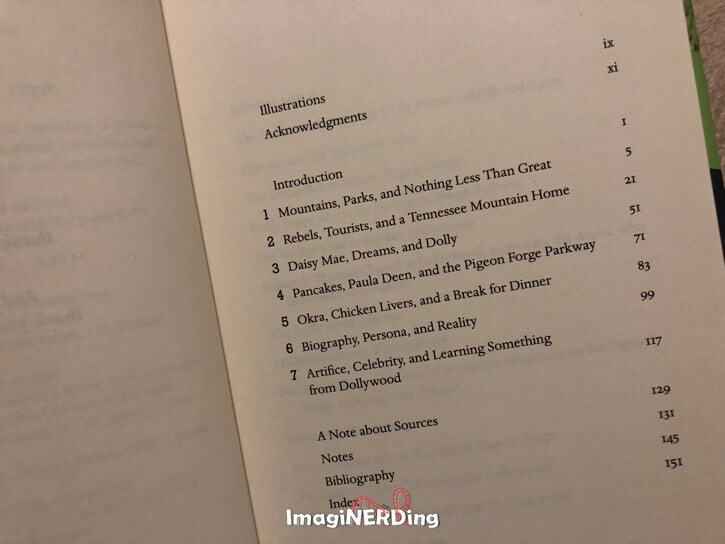 Gone Dollywood is a series of essays that chronicle Dolly’s life in relation to the culture of her home town, her career and the Dollywood theme park. The book also takes a detailed look into how Appalachian culture, or mountain life, has been purveyed to the rest of the country and how Dolly has fought that image through her music and life. Hoppe also looks at Sevier County and how modern Sevier is vastly different from the history it wants to portray. It’s not mentioned often, but most of Sevier County voted against seceding from the Union and was against slavery. That flies in the face of the number of confederate flags flown today and on display in the area. It really wasn’t part of Sevier County history. Yes, Hoppe addresses how in the world Paula Dean was able to open a very successful restaurant in the Pigeon Forge area and how it relates to the current culture of the area. 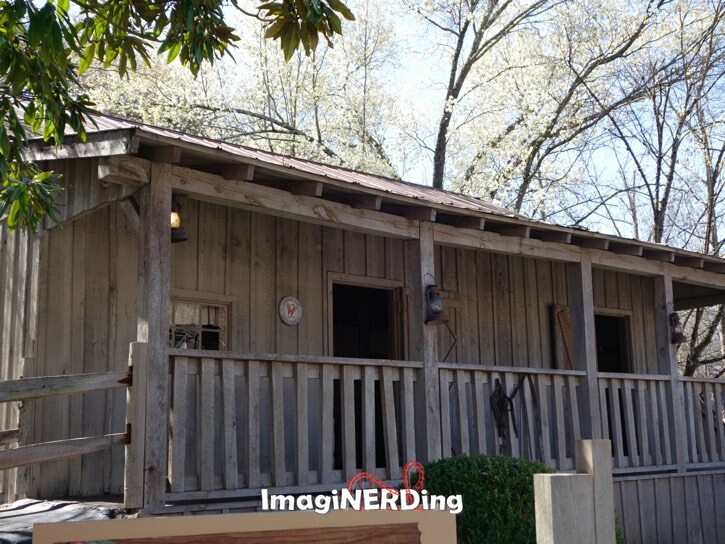 Gone Dollywood takes us inside the theme park and explains the representations of Dolly’s life that we see throughout as well as the representations of mountain life. Hoppe stresses that hillbilly popular culture was not as it was presented in the 1950s, but more akin to the Craftsman’s Valley and Rivertown Junction areas. It’s more about hardworking people trying to survive and pass on their culture. Hoppes’ book offers insight into Dollywood as a social and cultural institution that goes beyond expectations of a modern theme park. Gone Dollywood is a look into the modern stratification of a park and how it exists inside and outside of its mountain environs. It’s interesting when Hoppe points out that Dollywood is a park paying tribute to Appalachian culture and is nestled serenely in the Great Smoky Mountains. The Tennessee Mountain Home, a representation of the home in which Dolly Parton grew up, is located in Rivertown Junction. To me, Hoppe looks at how Dolly is able to connect to disparate audiences through her music and her messages. Not only is she a country super star, but Dolly is a gay icon and has stated that she believes that love is for everyone. It’s very heart-warming to read about Dolly’s stance in regards to hatred, and bias, even when it’s shown in her hometown. Dolly believes in love and people and it shows. Anyone with a vested interest in Appalachian culture and how it manifests in Dollywood and in Dolly Parton’s life will find Hoppe’s book a pleasure to read. There were moments that reminded me of Nickel and Dimed: On (Not) Getting By in America, but that simply relates to the economic depression of the area. Overall, Hoppe weaves a view of a theme park that exists to boost Dolly’s people and her way of life. Hoppe also provides insight into Dolly’s life, based on interviews and articles, that help explain how Dollywood has evolved since her partnership with Herschend Family Entertainment started in 1986. Are You Going to Pick Up a Copy of Gone Dollywood?